AHRQ Quality Indicators Toolkit for Hospitals AHRQ has released an update of the AHRQ Quality Indicators Toolkit, which guides hospitals through the process of using the AHRQ Inpatient Quality Indicators (IQIs) and Patient Safety Indicators (PSIs) to improve the quality and safety of care. Innovations for Integrating Quality and Safety in Education and Practice: The QSEN Project (PDF), presented in a special session on October 31, 2011, at the Sigma Theta Tau Biennial Convention in Dallas, TX by Linda Cronenwett and Gwen Sherwood. Urinary Incontinence Quality Improvement in Nursing Homes: Where Have We Been? Where Are We Going? Advances in Patient Safety: From Research to ImplementationVols. 1-4, AHRQ Publication Nos. 050021 (1-4). February 2005. Agency for Healthcare Research and Quality, Rockville, MD. This compendium describes the progress of federally-funded programs toward understanding medical errors and implementing programs to improve patient safety. 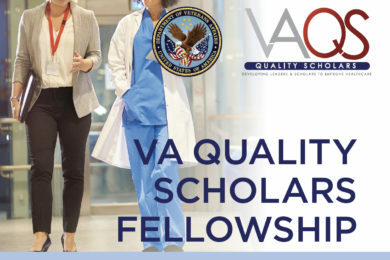 Sponsored jointly by the Agency for Healthcare Research and Quality (AHRQ) and the Department of Defense – Health Affairs, the compendium covers a wide range of research paradigms, clinical settings, and patient populations. In addition to articles with a research and methodological focus, it includes articles addressing implementation issues or present useful tools and products that can be used to improve patient safety. Classics (AHRQ Patient Safety NetworkAHRQ PSNet editors have selected a set of “Classics”: review articles, empirical studies, reports, and books that have special relevance to patient safety. Culture Clues – University of Washington Medical CenterCulture Clues™ are tip sheets for clinicians, designed to increase awareness about concepts and preferences of patients from diverse cultures. Integrating Quality Project (Association of American Medical Colleges)The Integrating Quality initiative is an organizational performance improvement project that was developed to assist AAMC members in enhancing their dual quality goals of providing outstanding clinical care today while educating the outstanding physicians of tomorrow. 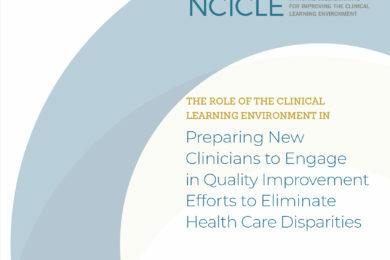 The initiative includes three phases that were developed using the AAMC’s “Learn, Serve, Lead” model, and involves identifying and making available key resources and QI strategies, as well as developing a network of individuals and partner organizations working to integrate these approaches in their medical centers. Nine Patient Safety Solutions (JCAHO and WHO)The purpose of these solutions is to guide the re-design of care processes to prevent inevitable human errors from actually reaching patients. An individual solution will present the problem, the strength of evidence supporting the solution, potential barriers to adoption, risks of unintended consequences created by the solution, patient and family roles in the solution, and references and other resources. Nursing Outlook. 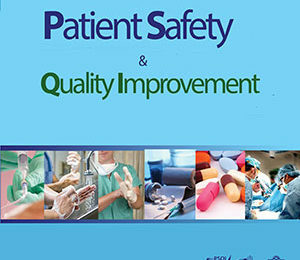 2007:55:117-158Quality and Safety Education for Nurses (Theme Issue). This issue covers a variety of topics related to quality and safety education for nurses, including the integration of safety content into daily work and an assessment of available educational opportunities. Nursing Outlook. 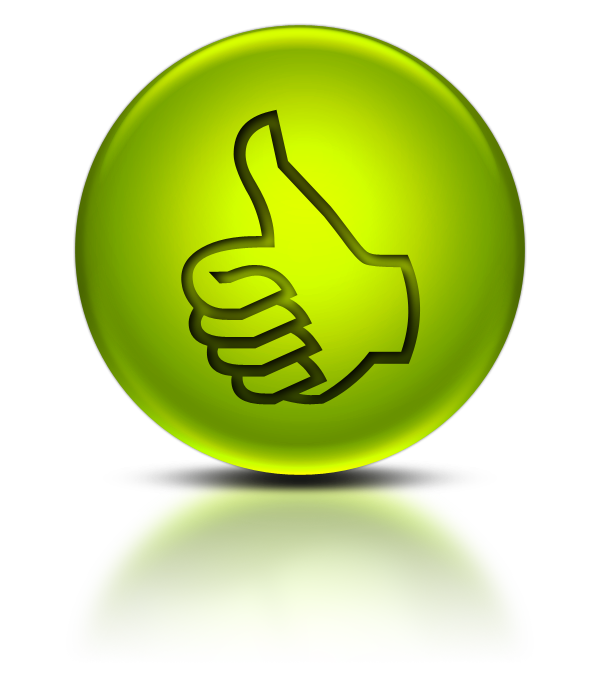 2009:57:299-356 (license required for access)Nursing Outlook: Quality and Safety Education (Volume 57, Issue 6). 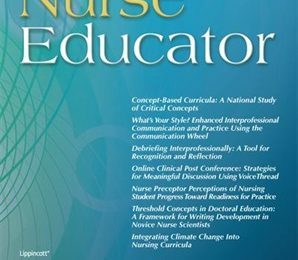 This issue covers the two-year process to generate educational objectives related to quality and safety competency development in graduate programs that prepare advanced practice nurses in clinical roles. Patient-Centered Care: What Does It Take? Revised Report of Joint Publication Picker Institute and the Commonwealth Fund (April, 2007)This paper was commissioned by the Picker Institute to explore what it will take to achieve more rapid and widespread implementation of patient-centered care in both inpatient ambulatory health care settings. The findings and recommendations are based largely on interviews with opinion leaders selected for their experience and expertise in either designing or implementing strategies for achieving excellence in patient-centered care. Patient Safety Glossary (AHRQ)Definitions abound in the medical error and patient safety literature, with subtle and not-so-subtle variations in the meanings of important terms. ARHQ has tried to adopt the most straight-forward terminology, with definitions that enjoy the widest use. Quality Grand Rounds Series in the Annals of Internal MedicineThis series of 13 case studies on patient safety was published in the Annals of Internal Medicine and supported by the California HealthCare Foundation. The cases, published over four years and presented during grand rounds at several hospitals, are based on real experiences and include expert analyses. In an effort to provide practical assistance in promoting cultures that support higher-quality care and patient safety, the articles in the series are available free of charge. “Story of Lewis Blackman” Film Available as Pay-per-view At the 2010 QSEN National Conference, Dr. Rosemary Gibson’s presentation included a portion of the award-winning film “The Story of Lewis Blackman,” the first film in the series “The Faces of Medical Error… From Tears to Transparency” produced by Transparent Health. The film chronicles the experience of a vibrant, healthy 15-year-old boy who entered the hospital for what was believed to be a low-risk medical procedure. For those interested in purchasing the film, it is available as an online-pay-per-view purchase from the Partnership for Patient Safety website. When Things Go Wrong: Responding to Adverse EventsThis consensus statement from the Harvard Hospitals focuses on rapid and open disclosure and emotional support to patients and families who experience serious incidents. It also addresses ways to support and educate clinicians involved in such incidents. Two principles guide the recommendations for responding to incidents: medical care must be safe, and it must be patient-centered. The Patient Survival Handbook: Avoid Being the Next Victim of Medical Error; Stephen Powell, Richard Stone; The book is divided up into 5 sections of short patient stories; preparing for a visit to the doctor’s office, in the hospital, as a surgical patient, communicating with your care team, and as a patient being discharged from the hospital. Each section provides a story illustrating a particular issue related to staying safe, along with Questions to Ask yourself, Questions to Ask Your Care Team, Tips to Protect Yourself and Your Loved One, Terms to Know, and Resources. Committed to Safety: Ten Case Studies on Reducing Harm to Patients (Commonwealth Fund)This report presents ten case studies of health care organizations, clinical teams, and learning collaborations that have designed innovations in five areas for improving patient safety: promoting an organizational culture of safety, improving teamwork and communication, enhancing rapid response to prevent heart attacks and other crises in the hospital, preventing health care-associated infections in the intensive care unit, and preventing adverse drug events throughout the hospital. The cases describe the actions taken, results achieved, and lessons learned by these patient safety leaders, with suggestions for those seeking to replicate their successes. Ending the Document Game – Nurse StoriesNurses and other health care providers relate the importance of information technology in providing timely, safe patient care. Evidence Based Nursing Introduction(Health Sciences Library, UNC-Chapel Hill)The goal of this website is the investigation of the field of Evidence Based Nursing. It serves as an introduction to the topic, which could be used to create a more in-depth tutorial. How to Use SBAR, Advocacy and Team Behaviors to Improve Patient OutcomesThe goals of this scenario are (1) to identify opportunities in the scenario where SBAR can be used to improve the quality of the communication between the providers and with the patient, (2) to identify opportunities where providers can use assertion to effectively advocate for the patient, and (3) to identify opportunities where team behaviors might have improved the care delivered to the patient. Human Factors – ModuleThis program offers a practical introduction to human factors and how they relate to medical mishaps. Institute for Healthcare ImprovementIHI Open School for Healthcare Professionals offers six basic courses in the areas of quality improvement and patient safety, and with plans to add more to this free site. 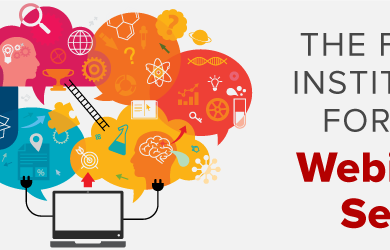 An Interprofessional Approach to Chronic ConditionsThis series of learning modules from the Geriatric Education Series covers an important area of chronic conditions which all health care professionals should focus on in order to improve geriatric care. Safe Patient Handling Training for Schools of NursingThe final version of the Safe Patient Handling Training for Schools of Nursing has been released by the National Institute for Occupational Safety and Health (NIOSH), Publication No. : 2009-127. The material includes a booklet and the safe patient handling and movement web-based training. Users can play the Flash media from a computer, print the PDF of the booklet, or download the entire CD contents (booklet and flash presentation). TeamSTEPPS – Team Strategies and Tools to Enhance Performance & Patient SafetyTeamSTEPPS is an evidence-based teamwork system aimed at optimizing patient outcomes by improving communication and other teamwork skills among healthcare professionals. It includes a comprehensive collection of ready-to-use materials and training curricula necessary to integrate teamwork principles into all areas of a healthcare system. It was developed by the Department of Defense Patient Safety Program, in collaboration with the Agency for Healthcare Research and Quality. Teamwork as a Tool for Patient Safety – ModuleThis course focuses on two techniques for effective communication that have been found successful in health care: (1) improving collaboration through briefings, and (2) promoting appropriate assertiveness within teams. (Currently Under Construction) Partnering to heal is a training program on infection control practices for anyone in the hospital setting. It starts with a story about a patient admitted with appendicitis, who dies from a hospital-acquired infection. The training section allows viewers to assume the identity of each the five main characters by making decisions and moving along different pathways and outcomes. The American Balint Society is a physician initiative to bring about change in the doctor-patient relationship and create a more therapeutic relationship. MedEdPORTAL that offers health institutions a unique opportunity to share resources, activities, innovative practices, and strategies for transforming health education and delivery.